Anita George has been a technology journalist since 2013. Her work has appeared in Paste Magazine and she holds both B.A. and B.S. degrees. No matter how hard you try, you'll never be able to completely avoid junk or spam email. You can hide most spam emails in a Spam folder using filters, but some spam will still take up space or avoid being filtered out. 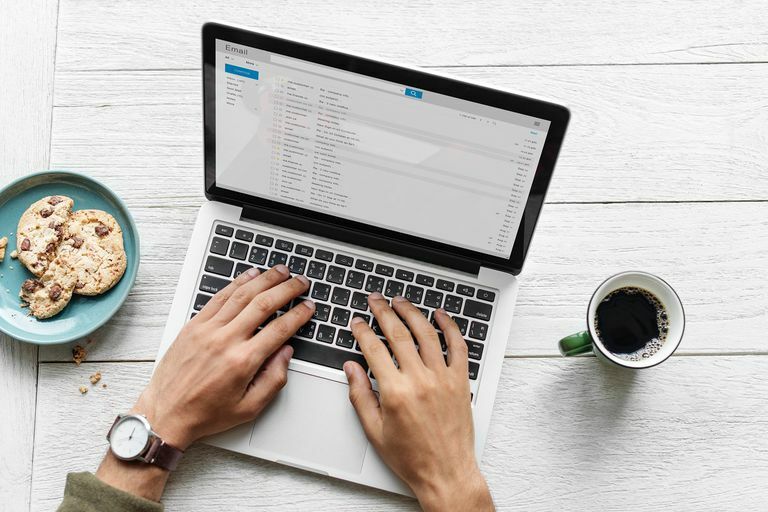 There's no guaranteed way to eliminate all spam from your inboxes, but here are a few ways to at least reduce the amount of spam you're receiving. To really understand how to reduce junk email, you have consider the source of these emails, usually spammers, and the methods they use to flood you with spam emails. One of the most common forms of spam you've probably experienced are commercial ad emails from legitimate retailers and other companies. Chances are, while signing up for a service or account with one of these companies, you may have also signed up for their weekly newsletters/circulars/or emailed coupons. Spam caused by you providing your email address to a legitimate company may be annoying, but it's usually harmless. However, harmful spam emails do exist. They're usually sent by spammers and not by reputable companies. There are several ways spammers can get your email address, including purchasing (illegal) lists of email addresses stolen from internet service providers. If you can't avoid publishing your email address where spammers can easily grab them, you can try to mask your email address by posting it as an image instead of text or use a disposable email address service. As we mentioned earlier, commercial ad spam from reputable retailers or other companies are generally harmless. If you're already receiving commercial ad spam from a reputable company and you want it to stop, here's how to unsubscribe from them. To avoid getting more of these in the future, look out for an opt-out option for that company's marketing emails or newsletter when signing up for a website or service. It's usually a checkbox you can select to either opt-in or out of promotional emails. Log in to your email account. Open one of the commercial ad emails you'd like to unsubscribe from. Scroll to the bottom of the message and select the link to unsubscribe from further promotional emails. However, if you didn't subscribed to this promo email, delete the message instead. Selecting the link won't actually unsubscribe you from anything, and it may let a spammer know your email address is valid and ripe for receiving spam emails. Some email providers, like Gmail, may have their own unsubscribe button you can select. In Gmail, it's usually located to the right of the sender's name. Harmful spam can pose a threat to the security of your personal data and the health of your computer, as they're usually used to either steal personal information from you and/or infect your computer with malware. Money scams: Spam emails meant to swindle unsuspecting email users into either sending money to the spammer or sending personal financial information in hopes of receiving money from the spammer. Sweepstakes winner spam: Emails that "notify" you about winning a sweepstakes or prize in a contest you most likely never entered to begin with. To "claim" your prize, you'll usually have to select a sketchy link or provide personal information. Email spoofing/phishing scams: Emails created to look like official emails from companies you trust. These emails imitate things like company logos to trick unsuspecting recipients into sending sensitive, personal information. Antivirus warning spam: Spam emails that "warn" you about malware infections and conveniently offer to scan your computer (or some other antivirus assistance) to help "fix" your computer. When users try to access the assistance offered via a sketchy link, their computers are either infected with malware or the spammer gains access to the recipients' system. When it comes to harmful spam, your email provider's in-house spam filter is really the most effective defense against these more malicious junk emails. Sometimes, those spam filters need a little help, though, because some spam emails are able to make it past the filters. You can teach those filters to be less permissive of these kinds of spam by blocking their senders and making sure to mark or report junk emails as spam when you notice them trickling into your main inbox. Here's how to report such messages as spam and block certain senders so your email provider knows to filter those messages out in the future. Open the message you want to report as spam and/or block the sender. Either right-click the message from your inbox or select the three dots icon within the email. This step will vary based on your email provider. In Outlook, for example, you can right-click the email; in Gmail and Hotmail, select the three dots icon. To mark a message as spam, select Report spam, Mark as spam, or even Mark as junk. The names for these options may vary among email providers. To block a sender of spam (or any other person who sends unwanted emails), you select Block sender. The name may vary among email providers. Why Is There so Much Spam Email? How Do You Report Spam in Gmail or the Inbox by Gmail App? What's All This "mailer daemon" Email I'm Getting? How Do You Report a Message as Spam to Yahoo Mail?